If you read this blog, you know I like to shop year-round for my Operation Christmas Child shoeboxes. 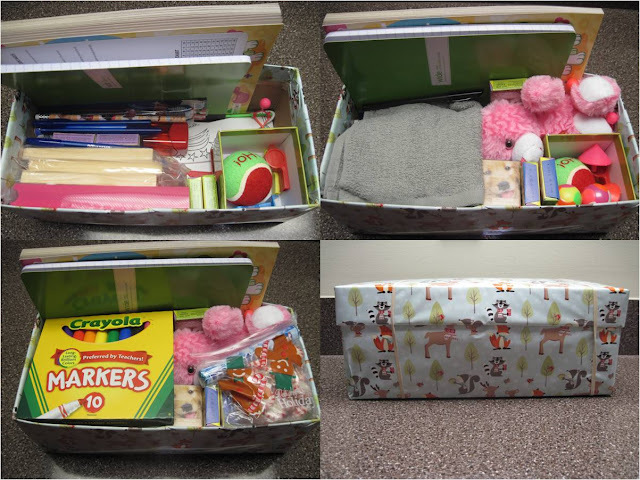 You might wonder why I work so hard to do that, so I decided I'd make 3 sample boxes with the deals I found throughout the year in 2016, and show the boxes one could make with that. You can see I figured you could fill with the basics Three OCC Shoeboxes for $29 from Dollar Tree, and here's an example of a shopping trip I did from that list. 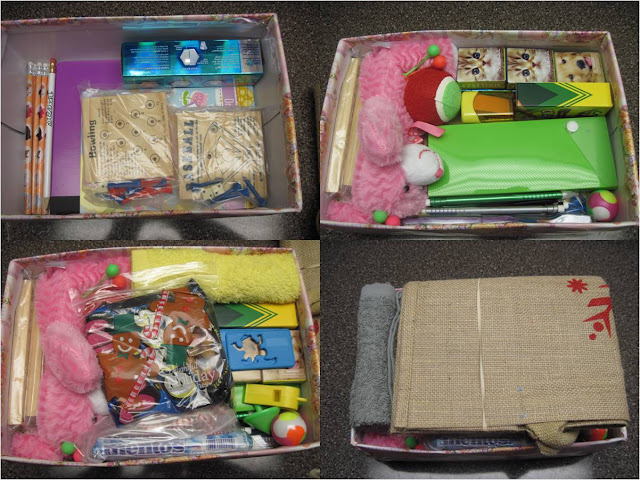 And that's a great option for those with limited budget who only want to shop at packing time. However with shopping year-round one can save a lot of money and pack even nicer boxes! 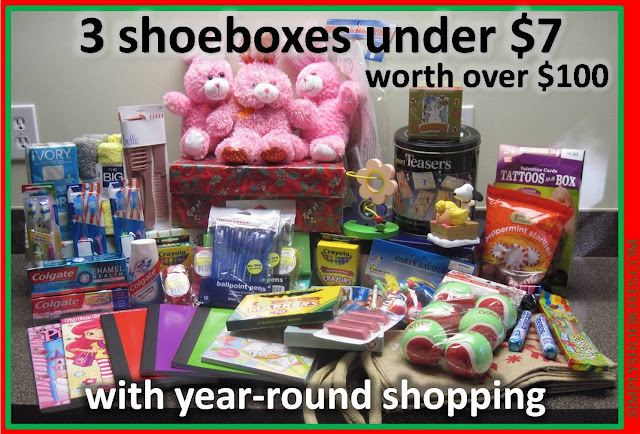 I spent less than $7 to fill these three shoeboxes with items that would retail at over $100. NOTE: 2016 was the last year to send candy & toothpaste in the USA!!! Seasonal clearance: This is always a great way to get a deal on items that might be seasonal. Thrift stores: I found an old, beat up tin at a local charity thrift shop that held travel games with a $2 label. I decided to pop it open to see what, if anything was inside. Low and behold it held seven games-one like new with all parts, and six still in original bags!!! These were like games I've seen at Dollar Tree, but nicer quality, for less money! Coupons: This both goes back to the CVS deals, and also other deals. For instance, I got a $1 off a purchase of $1.01 or more at Dollar General for signing up for digital coupons, there was something I wanted to get personally on clearance so I picked up combs. The $1 coupon I applied toward the combs that were $1 for a package, making them free! Free items: I got a free pencil with purchase; my sister got a gift in a small box, that she then gave to be packed in an OCC shoebox; my aunt had a Happy Meal toy. 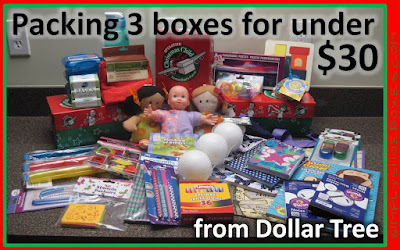 If you are unable to pack all year round but still want to pack multiple boxes inexpensively check out this other post: How to Pack Three OCC Shoeboxes for Under $30 at Dollar Tree. 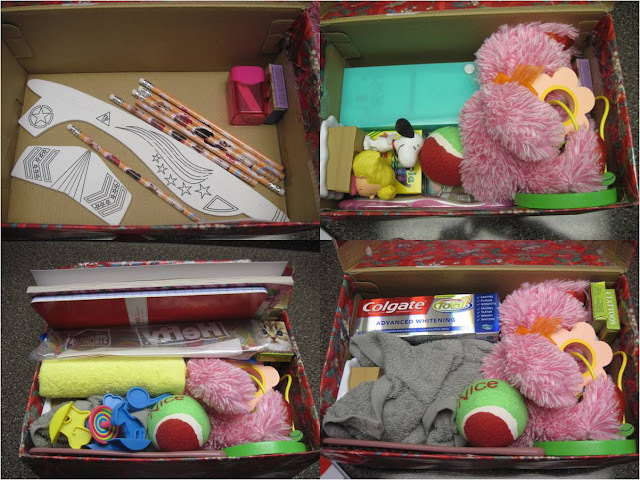 You may also be interested to learn Why We Include a Stuffed Animal Our Operation Christmas Child Shoeboxes. 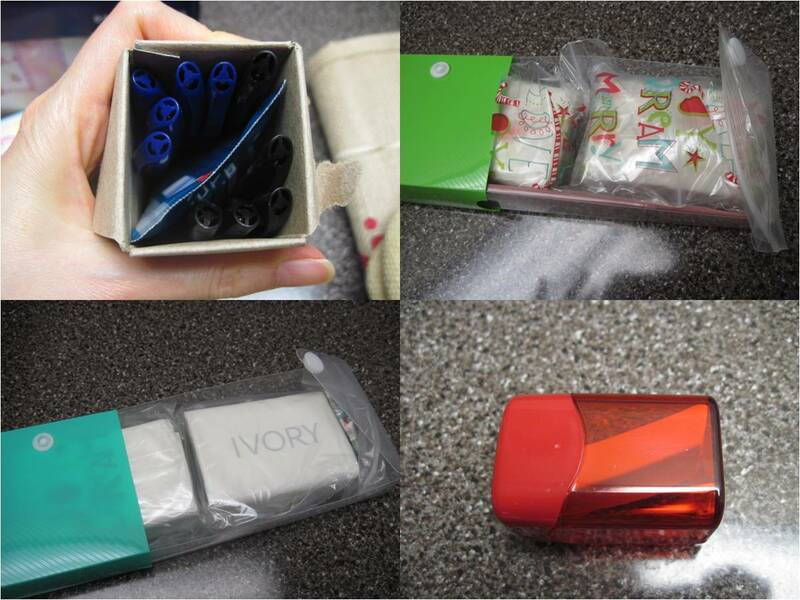 Disclaimer: unlike our yearly boxes I share, these are sample boxes to see for myself and show what could be done in a blog post, these exact boxes were not sent intact.